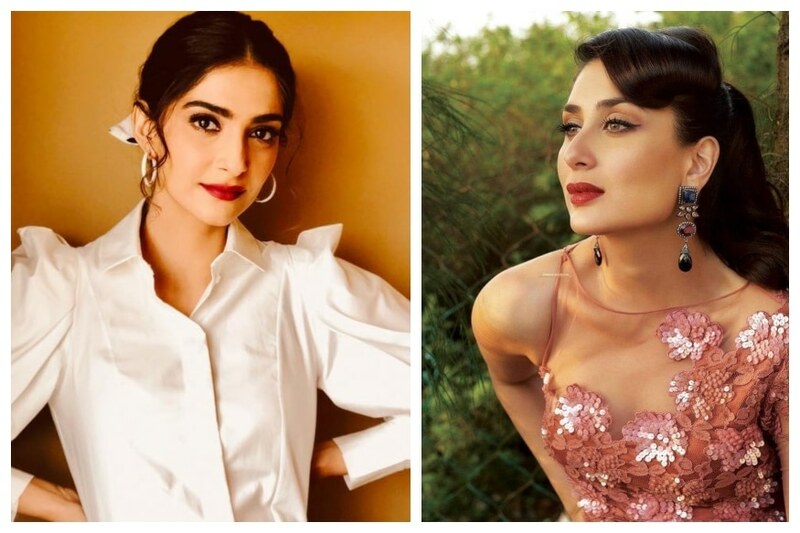 On Arbaaz Khan’s show, Sonam Kapoor talked about Kareena’s sly social media presence and other topics. Kareena Kapoor Khan has been asked many a times whether she is on Instagram and the actress always insists that she has no social media account. But on Karan Johar’s show, many references have been made to how she is in on all the gossip in Bollywood and also has a WhatsApp group with her close B-Town friends. Kareena has always tried to keep her social media presence mysterious. She doesn’t have a verified account but there are several fan accounts, and it is said that she is on the social media under a different name. Her Veere Di Wedding co-star Sonam Kapoor confirmed this during a chat show with Arbaaz Khan. When Arbaaz asked her whether she believes Bebo isn’t on social media, Sonam said, “I know for a fact that she is on it under a pseudonym. Sonam seems to have forged a friendship with Kareena ever since they starred together in Veere Di Wedding. The film, about female friendship, was produced by Sonam’s sister Rhea Kapoor. Sonam is the newest guest on Arbaaz’s show, which has already hosted Kareena, Karan Johar, Varun Dhawan and Sonakshi Sinha. Arbaaz shared a teaser of Sonam’s episode, which will air on April 16. On the show, Sonam has also talked about being constantly body-shamed for a long time. “People would say, bahut patli hai, bahot moti ho gayi hai, kaali ho gayi hai, lumbi ho gayi hai, shaadi kaun karega” (she is too thin, too fat, too dark, too tall, who will marry her) and that it was not the right thing to do,” she said.